The European Union’s Special Council has granted the United Kingdom a “flexible” extension to part ways from the block until October 31, officials said Wednesday, after French President Emmanuel Macron opposed efforts to give the U.K. another year. European leaders and British Prime Minister Theresa May “agreed on a flexible extension until 31 October. This means an additional six months for the UK to find the best possible solution,” stressed president of the European Council, Donald Tusk. The late-night agreement means the British will not face a troublesome no-deal exit, that was about to happen in less than 48 hours. Since the start of the week, May was urging for another short extension for June 30, which was unlikely as EU officials didn’t want to go through the whole process all over again. This decision gives the PM more than the three months she had asked for to build a parliamentary majority behind the withdrawal treaty she negotiated with the EU last year. Her team has been meeting with Labour trying to reach a possible understanding. This new deadline, if it actually turns out to be the departure date, means that the U.K. would leave the EU a day before the next European Commission President – the successor to Jean-Claude Juncker – takes office. 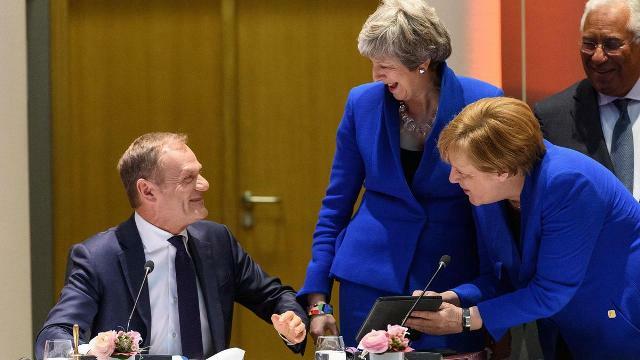 European leaders will meet again in June to assess the situation, yet they hope Britain leaves by then, though talks with Labour’s leadership have shown there is no sign of an agreement yet. However, the U.K. will have to face another hurdle. To continue as EU member beyond June 1, the premier has agreed to organize British elections to the European Parliament on May 23, it is still unclear if that vote will go ahead and how far it might turn into a virtual second referendum on EU membership that some hope could mean Britain canceling Brexit. Now the British and the whole world will have to endure again the entire tortuous process of debating and hoping for a majority vote on a Brexit-deal.